Most Tuesdays I take a field trip: I got to the bookstore and read the new picture books. It gets me out of the studio and into the world for a bit and educates me on the latest books being published. The library is a great resource for older books I may have missed and I am a frequent visitor there as well. So I read a LOT of picture books! Recently I was on a walk with my 3 year old in the park and ran into some other parents doing the same. They asked me for picture book recommendations. This happens often to me and I thought my blog would be the perfect place to formally put my recommendations. So here it is: my first installment of my Picture Book Field Trips! I actually got to read this book back in February at the SCBWI NY conference when I met Benson. I was instantly impressed with Benson's adorable, playful characters and the theme of being brave even when you're a bit afraid. Super cute book just in time for summer! Bedtime is Joseph’s least favorite time of day. When his parents tuck him in at night, Joseph imagines all kinds of things that he’s missing out on: big parties, hot-fudge fountains, exotic animals, and more. 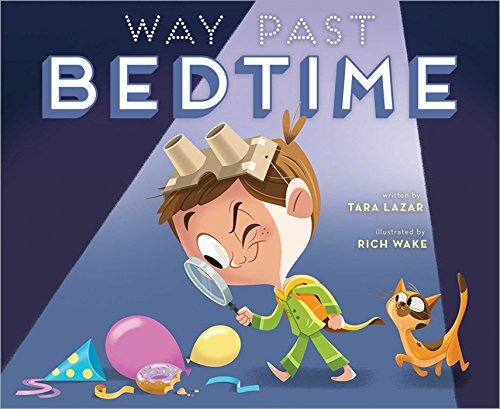 But there is only one way to find out if what he imagines is actually true—and bedtime super-sleuth Joseph is determined to discover what happens way past bedtime. This is a really fun book and packed with Rich's artwork. 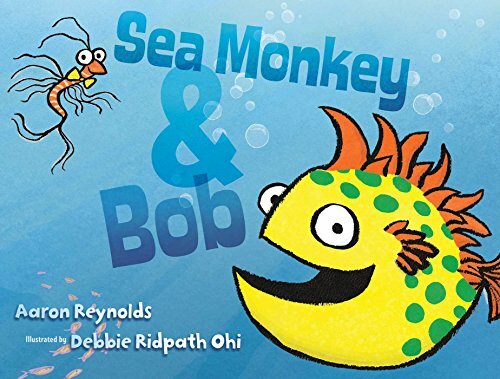 Bob the puffer fish and his best buddy Sea Monkey may be little but they’ve got one ocean-sized problem. Sea Monkey’s terrified he’ll sink straight to the bottom of the ocean. After all, he’s heavy, and all heavy things sink, right? Bob on the other hand is worried that his puffed up frame will float up above the surface. He’s light, and all light things float! How will they stay together when the forces of gravity are literally trying to pull them apart? I've been a fan of Aaron Reynolds since Creepy Carrots (which is awesome too - highly recommend). Another fun, playful story with fun, playful artwork. I'm a sucker for silly and this book is full of it!